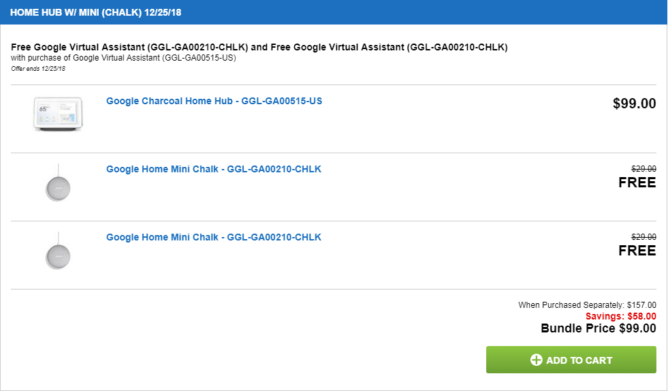 Over the past few days, Best Buy, Target, and a few other stores offered a Home Hub and two Home Minis at significant discounts. If you missed out on those, Adorama still has the package for just $99. I won’t go into detail about the Home Hub and Home Mini, because I’m sure all of you know what they are and how they work. You can find our review of the Home Hub here, and a short review of the Mini here. They can both answer voice commands, and the Hub has a screen for displaying videos and other visual content. If you’re interested in buying the bundle, I highly recommending hurrying — it’s already backordered. Free shipping is available, and tax isn’t added in some states. Missed you chance to snag this offer when Adorama still had it? No problem at all — another day, another retailer. 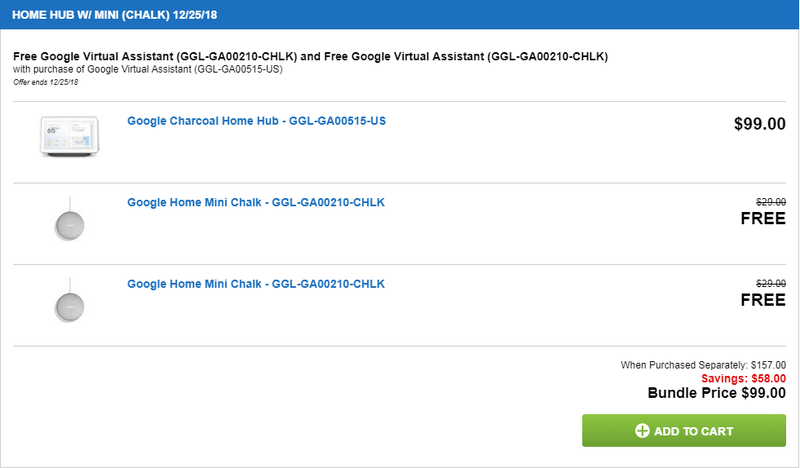 Right now you can get this very same bundle with the two Minis and Home Hub for $99 from Abt. What appears to be going on here is that while this deal is restricted to one day only, retailers have some discretion as to choosing when that day is — so we’re seeing the same offer pop up over and over again at different stores. 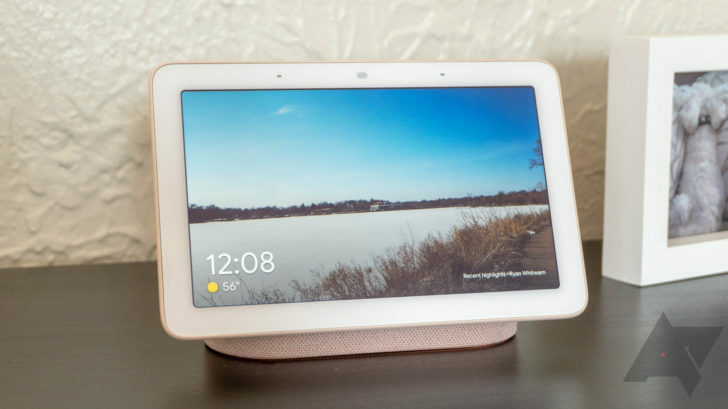 Even so, it’s got to end for good at some point, so don’t delay too much longer if you’re looking to stock up on Google smart-home gear.